I would like to inquire about your property Bayut - ES-4726. Please contact me at your earliest convenience. 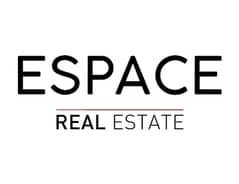 Espace Real Estate presents this 3-bedroom end unit with good plot size sitting on 3,600 sqft located in a prime Springs 1 development by Arabtech. The ground floor comprises of a small reception, bright and spacious living room with dual doors which allows for a lot of natural sunlight and direct access to the garden. The master bedroom which has a private balcony overlooking the garden and a large bathroom that has been knocked into one with a large Jacuzzi bath. The property sits in a single row location within close proximity to the local town center which features all the essential amenities including Spinneys, Emirates International School, Fitness First gym, local bus routes and pharmacies.